At Ragan Family Eye Care, our optometrist, Dr. Kimberly Johnson Ragan, has dedicated herself to always providing the highest quality eye care. 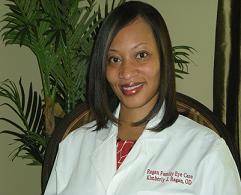 She prides herself on serving residents of Madison, MS, Ridgeland, MS and Canton, MS. Toward that end, she make sure to keep abreast of all the latest developments in the field of optometry and eye care to guarantee that you benefit from the most up to date treatments and technology. Our eye care team strives to create a comfortable and open office environment to ensure you have a pleasant visit. Our eye doctor possess the qualifications and experience necessary to care for your eyes as well as the attentiveness and skill to earn your trust. Don’t settle for less in an eye doctor!